Moms are known to be good when it comes to gathering information and attaining knowledge especially when it has something to do with their home and with their family. One of the things I like learning from is anything related to health and wellness. 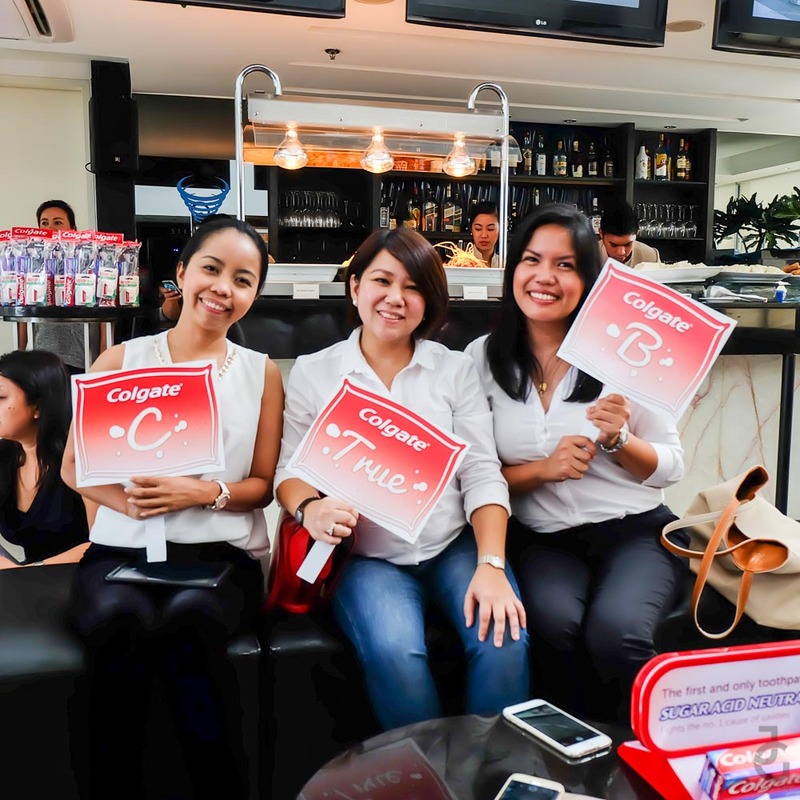 So when Colgate invited me together with a handful of moms to a quiz-off, I immediately said yes because I know I’ll pick up a thing or two about oral care. Simple questions about oral care answerable with ‘true or false’ and multiple choice. 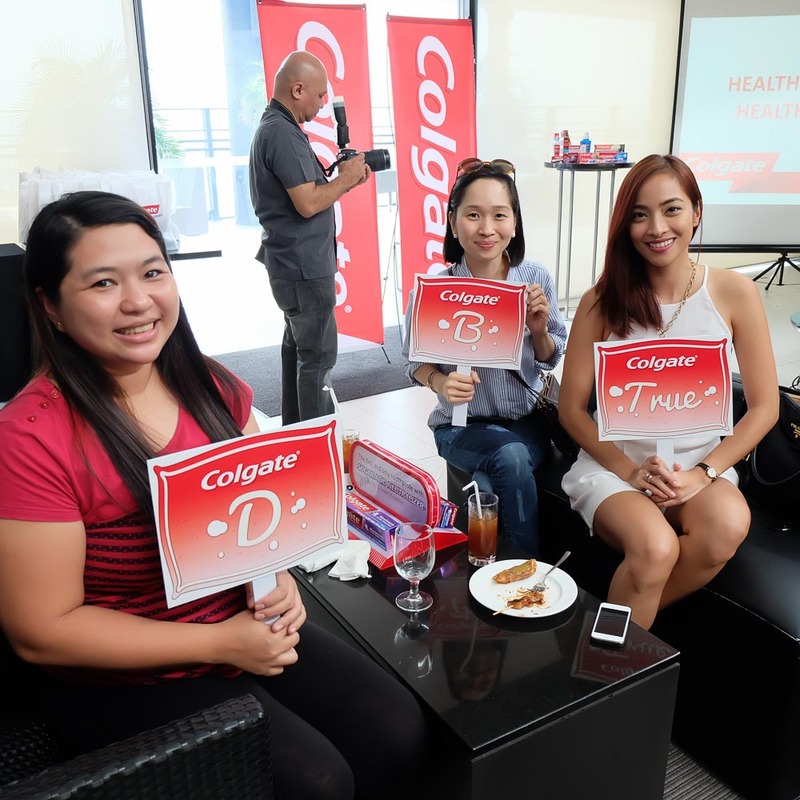 I was pretty confident that my team and I will answer every question correctly because, we know more than a thing or two when it comes to oral care as we’ve learned a lot from attending the previous events of Colgate – their Oral Health Care Month and the launch of Colgate Sugar Acid Neutralizer. Lilian of The Go Mom, Kaye of Shining Mom and Camille of The Soshal Network is our team to beat. Competitive din kasi e. Hihihihi. While Peach of The Peach Kitchen and Tin of Manila Fashion Observer were my team mates. The questions thrown at us were simple yet it was a bit tricky that we had a hard time answering. 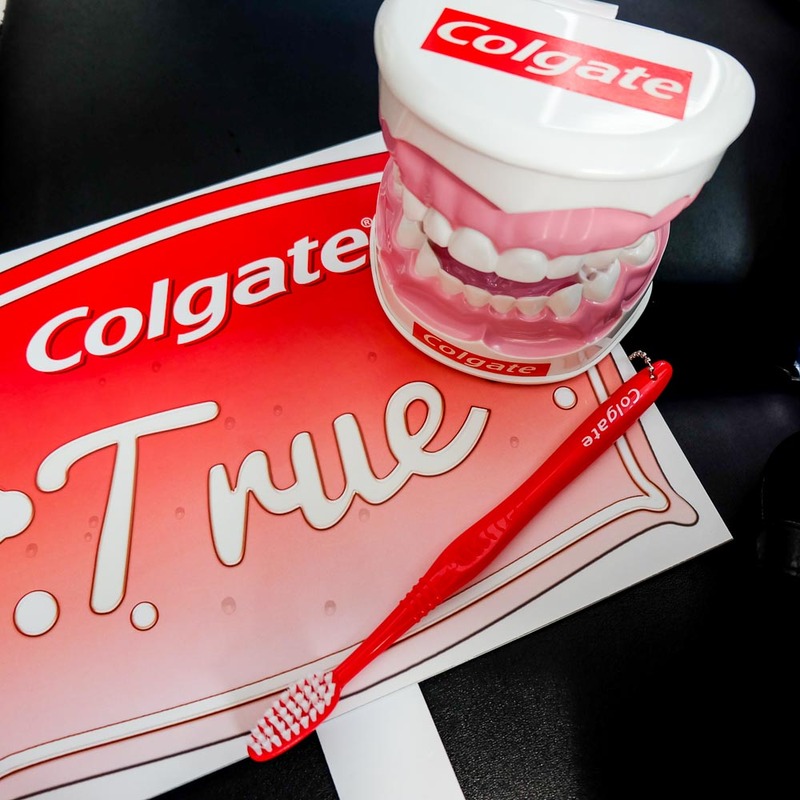 After a few questions, it was a tie between two teams and for the tie-breaker, we had to name at least 5 variants of Colgate. Given we’re big users of Colgate in our household, I quickly raised my hand and immediately, I was able to name 5 variants: Colgate Total, Colgate Plax, Colgate Optic White, Colgate Sugar Acid Neutralizer and Colgate Fresh Confidence. This garnered us enough points to be considered as the winning team. Yay! 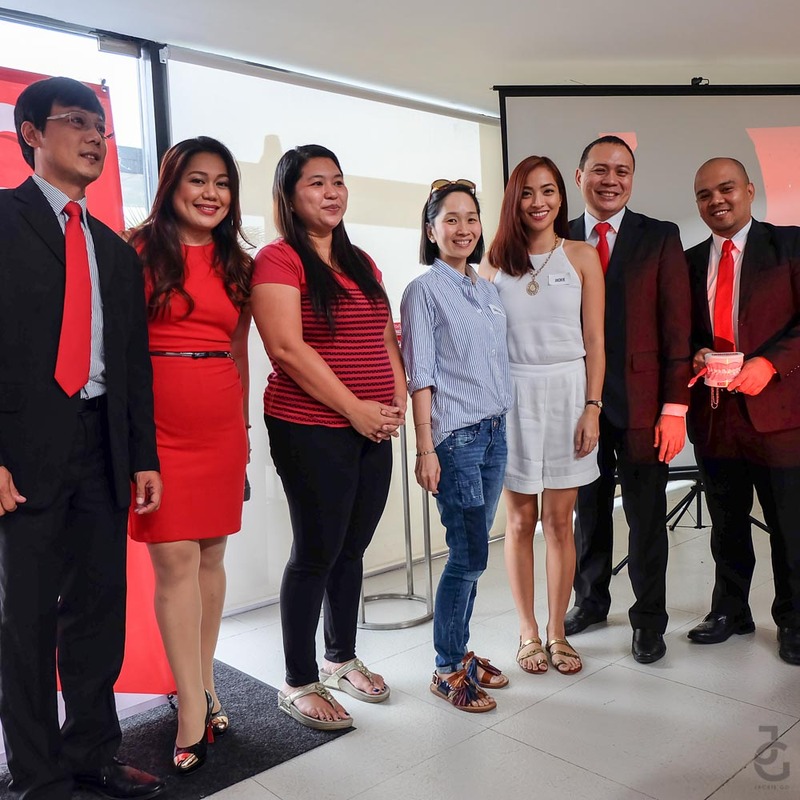 Peachy, Tin & I together with Colgate’s resident dentists, Dr. Bong David, Dr. Louie Quiambao and Dr. Noel Luna, and Glowie Robillo, Digital Marketing and Public Relations Manager of Colgate-Palmolive Philippines. Shortly after our fun and quick quiz-off, we were able to debunk myths and learn more facts about oral care. 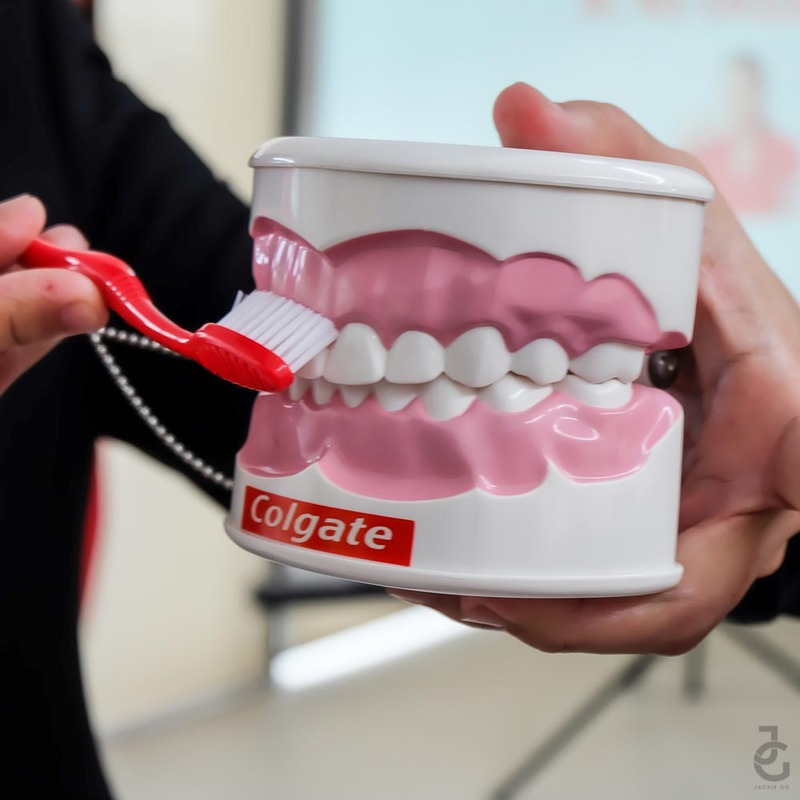 If you think you know enough about oral care, then you might want to rethink this as I, together with the other moms who attended the luncheon was surprised to find out that there are a lot of things we still need to know. Best to use mouthwash 30 minutes before or after brushing. If you use mouthwash immediately after brushing, it rinses off the toothpaste. This isn’t enough for the fluoride and other active ingredients in the toothpaste to work its way inside your mouth. Also, it’s best to not rinse with water after brushing. Better to just spit the toothpaste out for it’s more effective this way. 45 degrees is the perfect angle of your toothbrush. Brush your front teeth first in sweeping motion downwards. Followed by the teeth on the side, use circular motion in doing so. Remember that sensitivity occurs when you brush sideways. The ideal dental floss length should be 20 inches. This length will give you enough floss to use for your teeth. It’s a no-no to use the same part of the floss over and over. Not only is it unhygienic, the effectivity is also compromised. There are 500-600 different types of oral bacteria. Some are good bacteria but mostly are bad. Thus it is important to have clean mouth and sometimes, brushing alone is not enough. Mouthwash helps clean the spaces in between your teeth. For those hard to reach places in between your teeth, use a mouthwash. Non-alcohol based mouthwash is scientifically better because it prevents killing the good bacteria that resides in your mouth. Good bacteria is important to give the right balance of microbes to prevent halitosis (bad breath). Tooth satins aren’t only caused by external factors. Not only are tooth stains extrinsic but it can also be intrinsic. While there are certain food that can cause tooth discolouration, they are not only the one to blame. It could be that you had too much fluoride exposure during early childhood or had a trauma such as a fall or bump that may damage the developing tooth. There is such a thing as milk cavities and this sometimes causes babies to get cavities. I’ve had my firsthand experience on this through my lil’ Ms. JG. She had milk activities at age 2 because she always sleeps with her bottle. If your child still sleeps with the bottle, the dentist advice that you let him/her drink water afterwards. This won’t completely steer her away from milk cavities as brushing is still best but this will help wash down milk instead of staying on your child’s mouth. Bring your child to the dentist once the first tooth comes out. The amount of toothpaste depends on the age of your child. For kids 2 years old and below, a smear of toothpaste is enough. While for kids aged 4-6 years old, pea-size is recommended. Brushing properly is important than the amount of toothpaste. It’s important to teach your child of the proper way to hold their tooth brush and to brush their teeth properly more than the right amount of tooth paste they need to use. You can start guiding your child the right way to brush their teeth at a young age of 2 years old. Kids can also use mouthwash. My kids love using mouthwash as much as I do. So I asked what’s the youngest age kids can start using it and the dentist said, as long as they already know how to spit. Again, best to use a non-alcoholic mouthwash 30 minutes after brushing teeth. All smiles after a very informative afternoon with Colgate. Thank you for enlightening us mommas with more information about oral care! Visit Colgate’s website to learn more tips about oral health care.